Course 3 was something light, fresh, and bright; Fattoush Salad. After the fried shrimp and crab cakes, our palates needed a refreshing kick. I will never understand why fattoush isn’t served more often in restaurants. 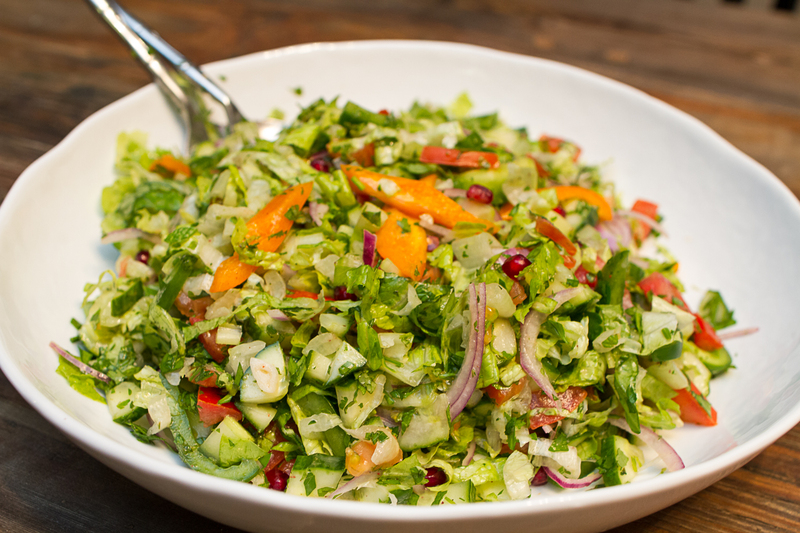 The ingredients are similar to most house salads, but you get the amazing addition of things like sumac, pomegranate and toasted (or fried) pieces of pita bread! Who wouldn’t love those things.